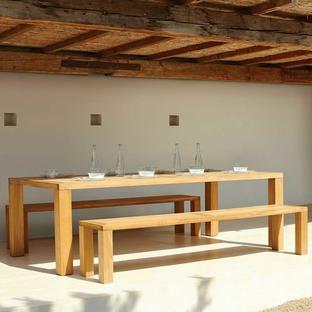 A gorgeous contemporary interpretation of a design classic. 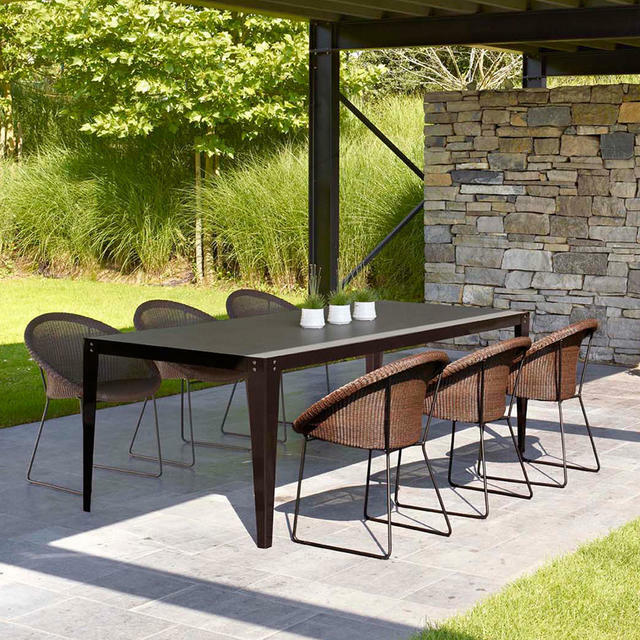 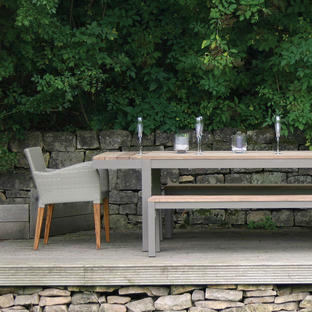 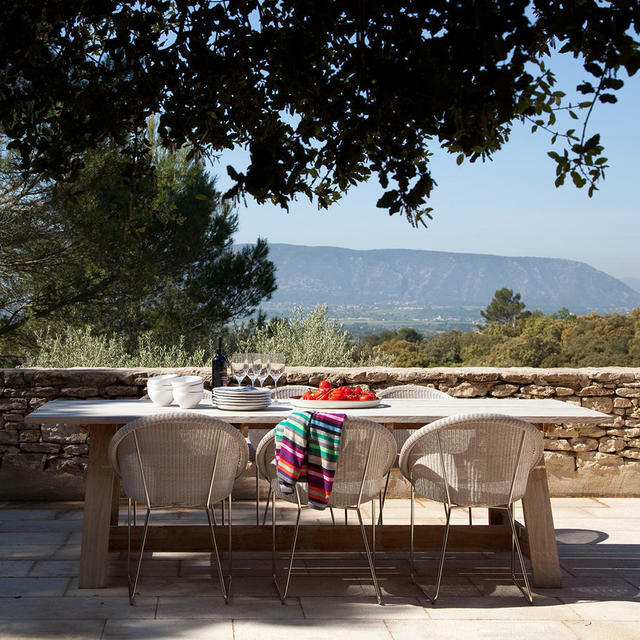 Made by Vincent Shepherd as part of the Vincent's Garden collection, the Gipsy collection of dining chairs form a welcoming and comfortable shell. 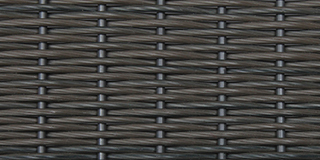 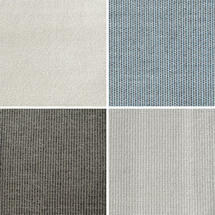 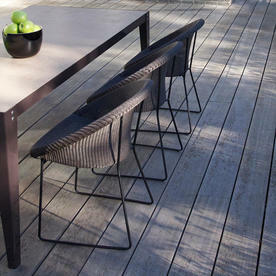 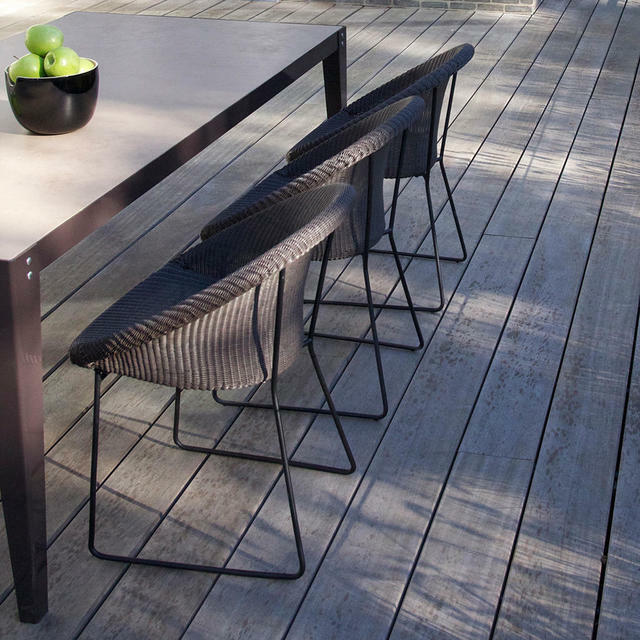 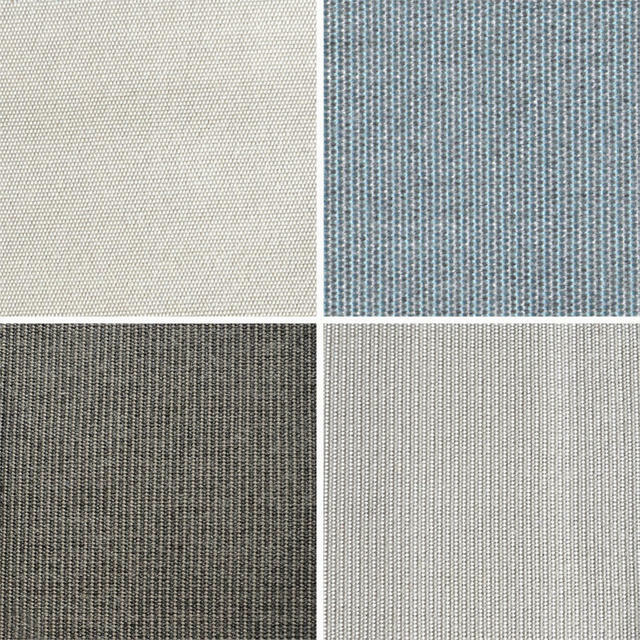 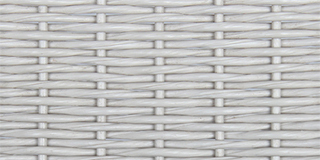 The chairs are woven using polyethylene fibre over a stainless steel frame, the weave is UV and weather resistant. 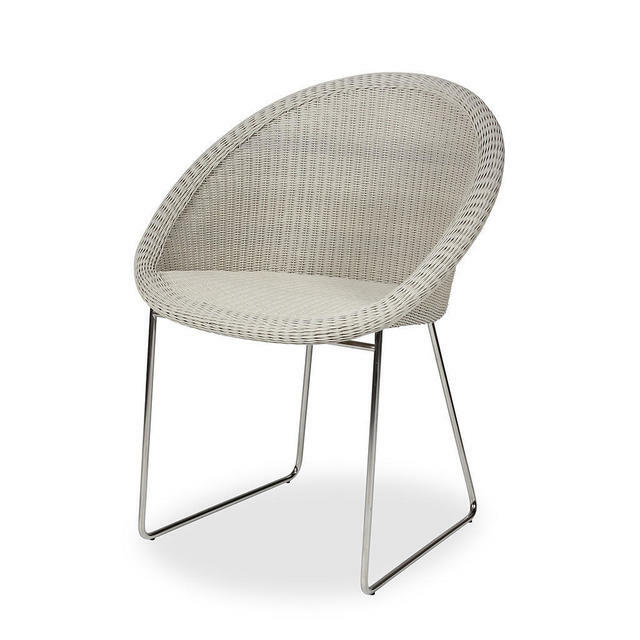 The furniture is resistant to temperatures of minus 25 degrees C to 70 degrees C.
The cushions can be ordered separately, they are made from Sunbrella fabric which is an outdoor acrylic material, UV resistant and mildew resistant. 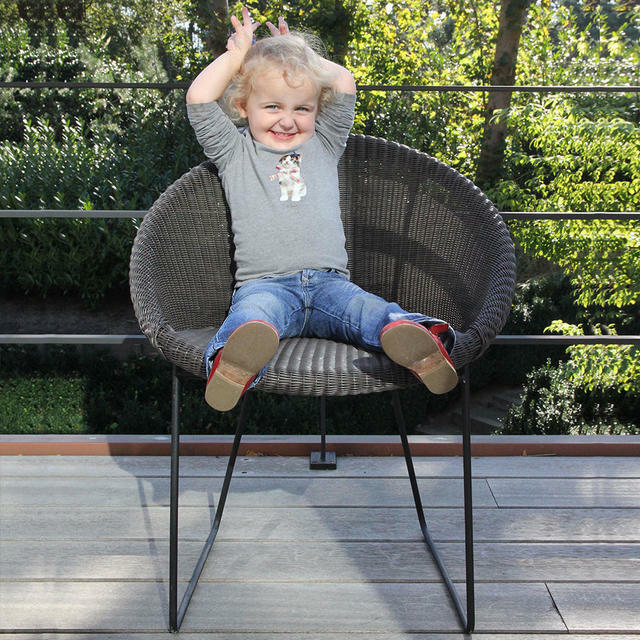 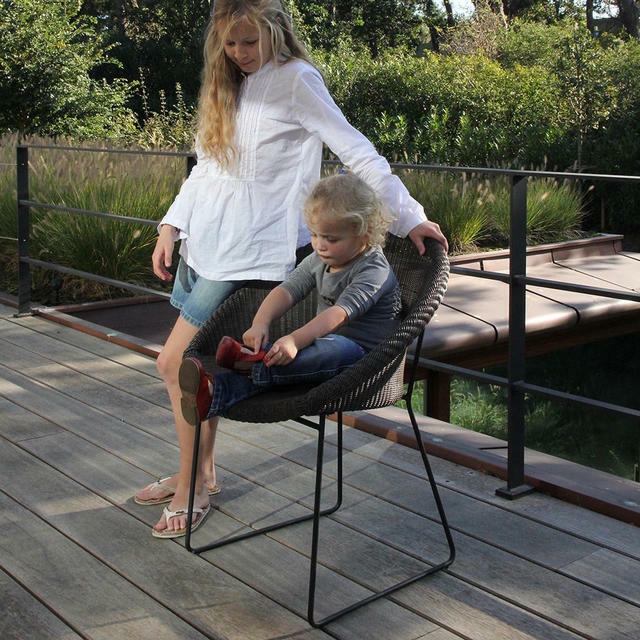 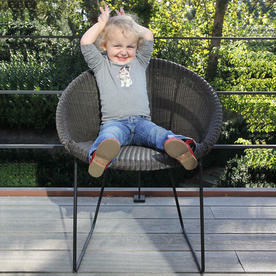 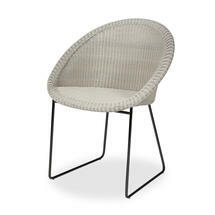 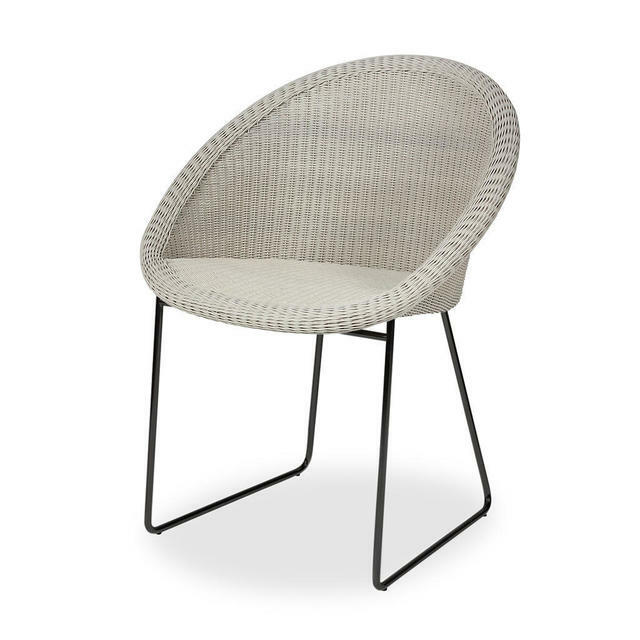 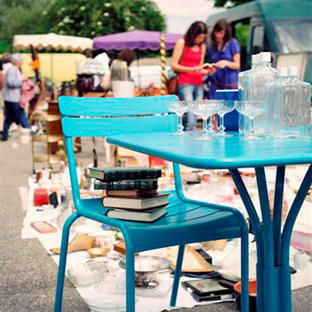 The Gipsy Cocoon chair seat height is 57 cm and comes with a seat cushion.